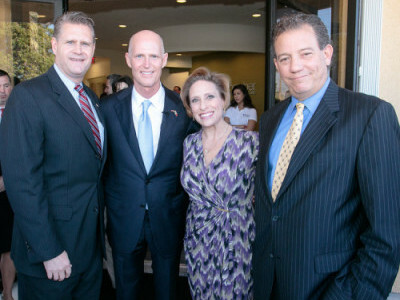 George L. Sigalos, Esq., Chairman of BLU-PAC (Business Leaders United Political Action Committee), with Florida Governor Rick Scott and Lt. 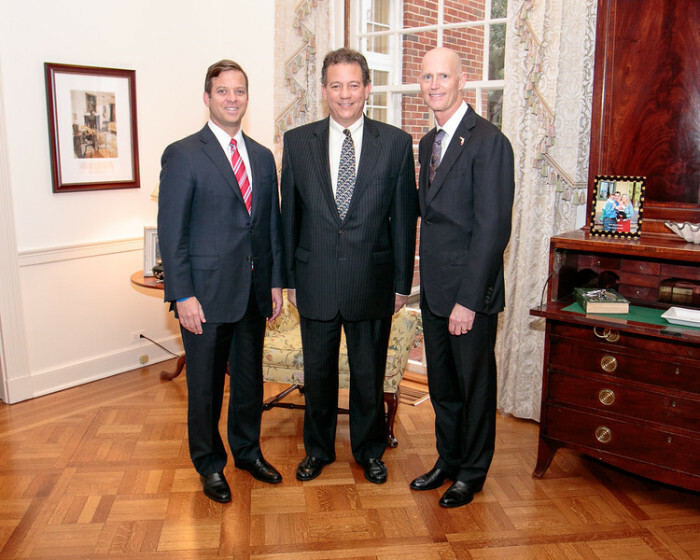 Governor Carlos Lopez-Cantera at a reception held at the Governor’s Mansion in Tallahassee on February 9, 2015. George L. Sigalos, Esq., Chairman of BLUPAC (Business Leaders United Political Action Committee) greets Governor Rick Scott during a recent visit to the Boca Raton Chamber of Commerce offices on January 30, 2015.